It is a broadly described annual report of Premier Cement Mills Limited in the year of 2015. This year the company has reported BDT. 8,098 Million Sales compared to BDT. 7,539 Million of the previous year. Though Company’s revenue has increased by 7.42% over the year its Net profit has reduced by almost 19.68% and figured to BDT. 408 Million Only. 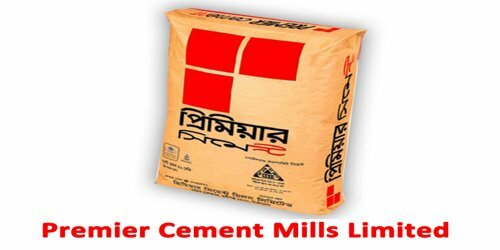 Premier Cement Mills Limited is the owner of 4,80,000 shares of Tk. 100 each out of 5,00,000 shares of Tk. 100 each i.e. 96% shares of Premier Power Generation Limited which is engaged in Producing electricity dedicatedly for Premier Cement Mills Limited. There are contingent liabilities in respect of outstanding letters of credit for Tk. 404 million. Export of 42,015 MT Cement was made in 2014-15 to the Indian state of Tripura & Assam and as deemed export in Bangladesh for US$ 32,02,237.50 equivalent to BDT 246,293,504. The Board of Directors in its meeting dated 23rd September 2015 recommended cash dividend of 20 percent, i.e. BDT 2 against BDT 10 per share for the year 2014-2015. These financial statements are presented in Bangladesh Taka (Taka/Tk/BDT) which is the company’s functional currency. All financial information presented in Taka has been rounded off to the nearest Taka.